Jenna and Brian held their reception and ceremony at the Beef House in Covington, Indiana. The room was set for 150 friends and family of the bride and groom. The ceremony took place on the stage while guests looked on from their seats. 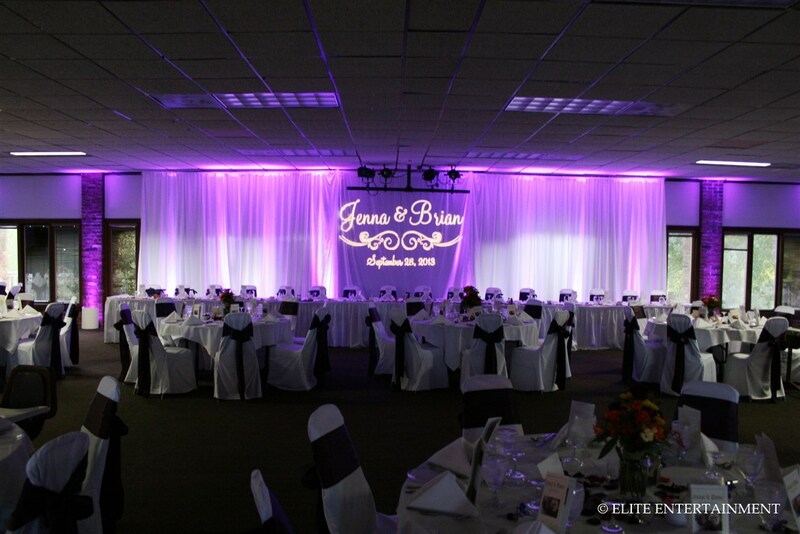 We provided the white backdrop for the head table along with uplighting and a custom monogram. 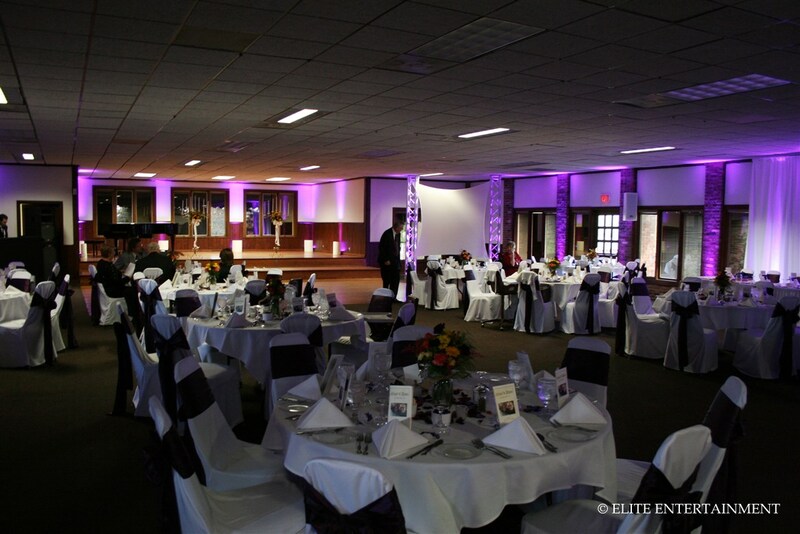 For this venue, we used 32 purple uplights around the room. This color looked amazing on the white backdrop! The monogram design they chose included their names and wedding date, along with a pretty scroll design. 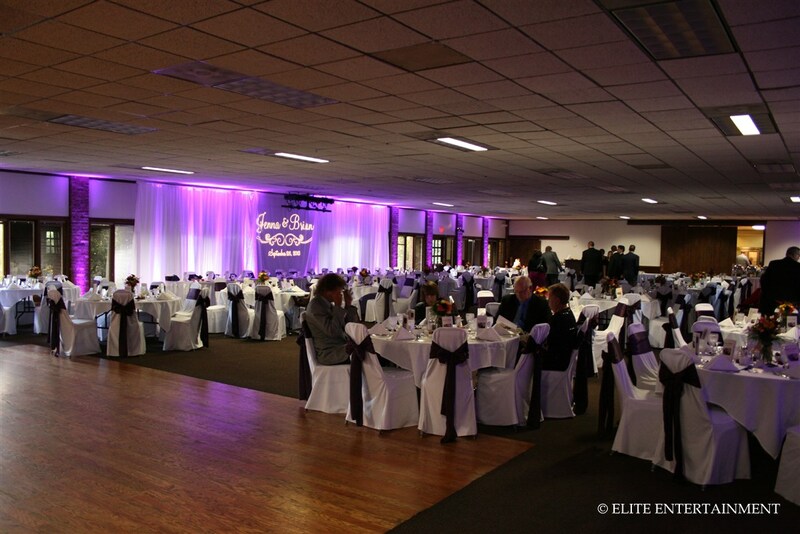 We also paired the white polyester chair covers with plum satin sashes to finish off the room. 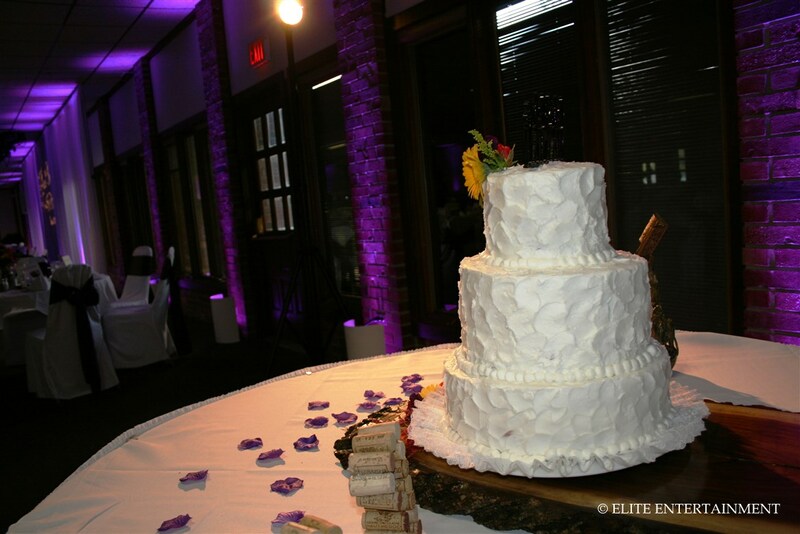 We used a spotlight on the cake that was in the corner of the room, so it was sure to be seen by all guests. We thought the room look amazing, and Ryan had a great time DJing! We want to wish the new Mr. and Mrs. Maxian the best in their new marriage! ~ by Elite Entertainment on October 1, 2013. This entry was posted on October 1, 2013 at 1:21 pm and is filed under Beef House.You can follow any responses to this entry through the RSS 2.0 feed.You can leave a response, or trackback from your own site.